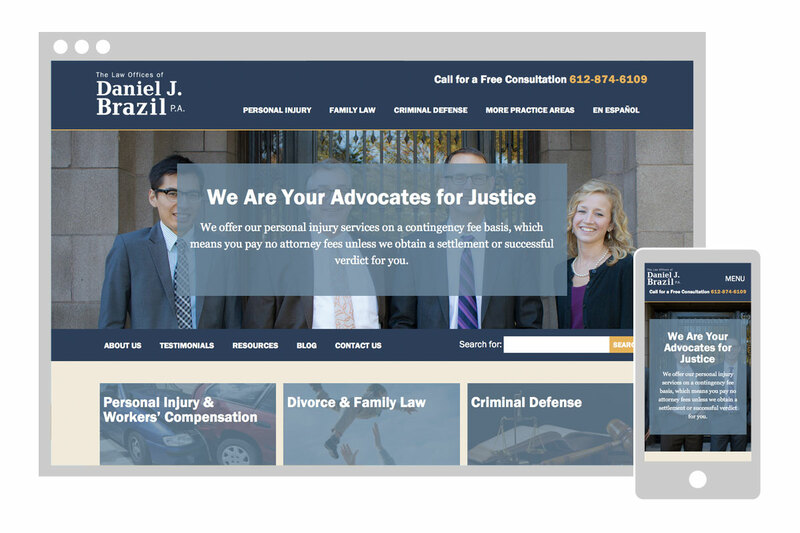 The Law Offices of Daniel J. Brazil, P.A. is a small law firm in Minneapolis that covers a broad range of legal areas. I worked closely with them to come up with a strategy for the website that would highlight their main practice areas in a columned-navigation system. Since they cater to the Spanish-speaking community, I created page templates that would allow for both English and Spanish language versions of the website. The website features bold typography and large photographs. I set up a blog that they utilize to educate the public about legal issues. To help perspective clients get to know the firm more, I highlighted customer testimonials. Since it is powered by WordPress, all content can be easily edited by the client.